On October 4, I heard that my friend Natnael Feleke had not returned home even though it was approaching midnight in Ethiopia. Family and friends were discussing where to search for the blogger, who had only been released 11 months earlier from the notorious Kilinto prison, where he was held for 16 months over his blogging. As Ethiopia responds to months of anti-government protests, the fear of bloggers and social media activists being targeted again seemed real. Family members went searching for Natnael and he was finally found in one of the many police stations in Addis Ababa. He and two friends had been arrested for talking about politics in public. Natnael was released after four days, but in the coming week the government declared a state of emergency in a move that has further endangered the safety of bloggers, journalists, and even ordinary citizens. The emergency measure was imposed amid anti-government protests that started in Oromia, the largest region in Ethiopia, and spread to different parts of the country. By the time the six-month state of emergency was declared on October 10, at least 500 people had died during months of protests, according to reports. Protesters and activists had relied on social media for sources and to exchange information, but the use of platforms such as Twitter and Facebook was banned under the emergency measures. Journalism is already one of the most dangerous professions in Ethiopia. This explains why a country of around 100 million has only one daily state-owned newspaper and a handful of privately run magazines that provide only limited and self-censored political coverage. TV and radio are mainly owned and run by the state, with the exception of one FM station, Sheger, in the capital, Addis Ababa. Ethio Telecom, the sole internet and telecom service provider, is also government-controlled. In recent years, this closed media space has created a dependency on social media for unbiased and relatively reliable information. Following the recent anti-government protests, social media became a source of information and place to mobilize protests, as well as a platform for citizens to express their anger and frustration at the many killings and arrests they say the government has carried out. The government denies its forces are responsible for the deaths. Until recently, the government’s response was to regulate social media by randomly blocking sites and VoIP (voice over internet protocol) applications. The state of emergency tightened these controls to include any form of media and put extreme limits on the right to access information. An “emergency executive command post,” which was established under the state of emergency, prohibits the dissemination through internet, text message, or social media any message deemed to “incite violence.” Communication with “foreign elements” and watching the diaspora-based TV stations Oromo Media Network and Ethiopia Satellite Television is also prohibited. The announcement of the state of emergency was followed by a total shut down of mobile internet, social media, and all VoIP applications in Ethiopia. The new rules have, in effect, suspended constitutional rights including freedom of expression. A translated draft of the directive for the executive command post does not explicitly mention what amounts to a “violence-inciting message” or who would decide what counts as “violence-inciting communication.” The directive has also suspended the right of those arrested to be brought to court. Instead, the new body has the right to detain anyone suspected of being in violation of the rules for six months, without a court ruling. This directive makes many bloggers and social media activists and users vulnerable to being detained for an undefined period with no due process. Bloggers like the Zone9 group, who have been trying to continue their work after a year-long imprisonment, will also be affected by the restriction. The law puts many more journalists who had been using social media as a means to report, communicate, and reflect, in danger. The fear among them that something they have reported on will be considered as “inciting violence” is high. The crackdown on independent voices has already increased in recent weeks, according to Ethiopian activists and news reports. A renowned blogger, Seyoum Teshome, was arrested just days before the state of emergency was declared; a social media activist, Eyasped Tesfaye, was arrested the week the new directive was enforced and still has not been allowed access to a lawyer or been brought before a court; Blen Mesfin another social media activist and opposition party member, has also been a victim of the trend for arbitrary arrests. The impact of the state of emergency directive and blocking of social media and mobile data is already being reflected in the online political discourse. In the past two weeks, information coming out from citizen journalists and bloggers has become limited, leaving only the state and government-affiliated media as the only easily accessible sources of information. Soleyana S. Gebremichael is a founding member of the Zone 9 bloggers and a freedom of expression advocate from Ethiopia. 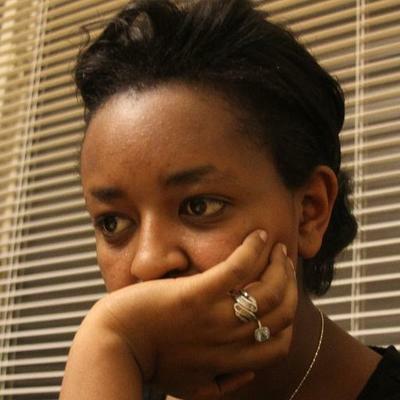 She left Ethiopia in February 2014 after facing terrorism charges for her blogging. Gebremichael currently works as a coordinator for the Ethiopia Human Rights Project.